We were very pleased this year to continue our collaboration with the University of the Creative Arts in Rochester, Kent. In 2017, we piloted the project with 16- to 18-year-old students taking the Extended Diploma in Art and Design at UCA, which you can read more about here: ‘Engraved in Time: Reimagining the Dalziel Brothers’. 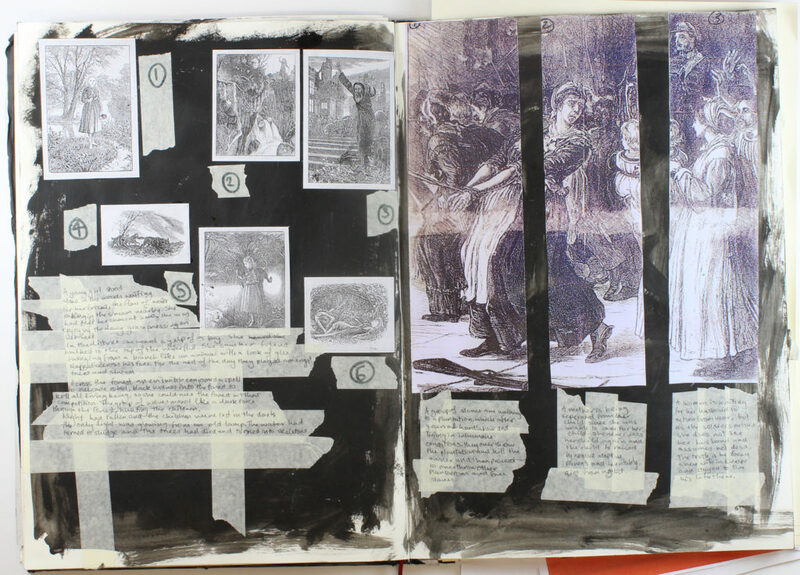 Students were prompted to create a sequential set of images inspired by images from the Dalziel archive, reflecting particularly on the theme of time and associated ideas. The responses were remarkable, and we showcased work by Mime Gerrits, Huddie Hamper, and Maisy Plummer. This year, a second cohort of students spent two weeks developing creative responses to the Dalziel Brothers’ engravings, producing exceptionally diverse work in mediums ranging from animated film to sculpture, graphic fiction to collage. Many students used innovative methods of combining different mediums and techniques. 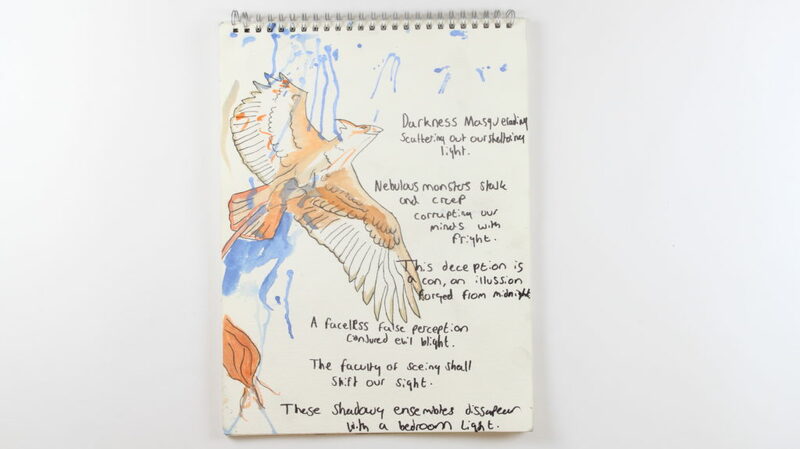 Some of the young artists created photographic flip-books which brought into dialogue the materiality of the book with Alice’s cinematic legacy, where others experimented with combinations of word and image to reflect on the intermedial power of illustration. Students’ work responded directly to the themes of the Alice to Alice: Dalziel 1865–1871 digital exhibition, with recurring references to bodies contorted and re-formed and the natural world; many paid close attention to the relationship between temporality and the material. We will be publishing selections from students’ work in the Create & Comment section, starting with Lucie Stewart’s and Lauren Tearle’s creative responses to images from the Dalziel Archive.